I love Twix. I think I could say with confidence that they are my favorite candy bars. What's not to like? Crunchy cookie, chewy caramel, smooth chocolate. Pure goodness. 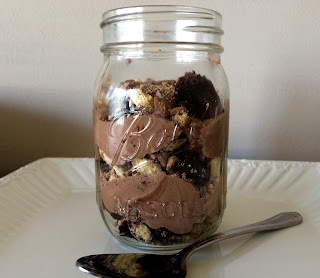 With friends coming for dessert, I decided to make use of my favorite candy in a rich, chocolatey trifle. One of the best things about this recipe is that, even though there are several parts, they are each incredibly easy. 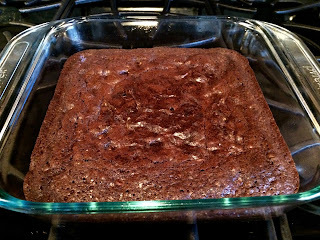 Start by baking your brownies. I like the Ghirardelli packets from Costco. They make a slightly smaller batch than most boxes. I decided it was high time I teach my toddler about licking the bowl. 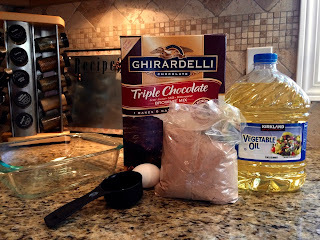 Brownie batter with breakfast. I'm not spoiling him, am I? 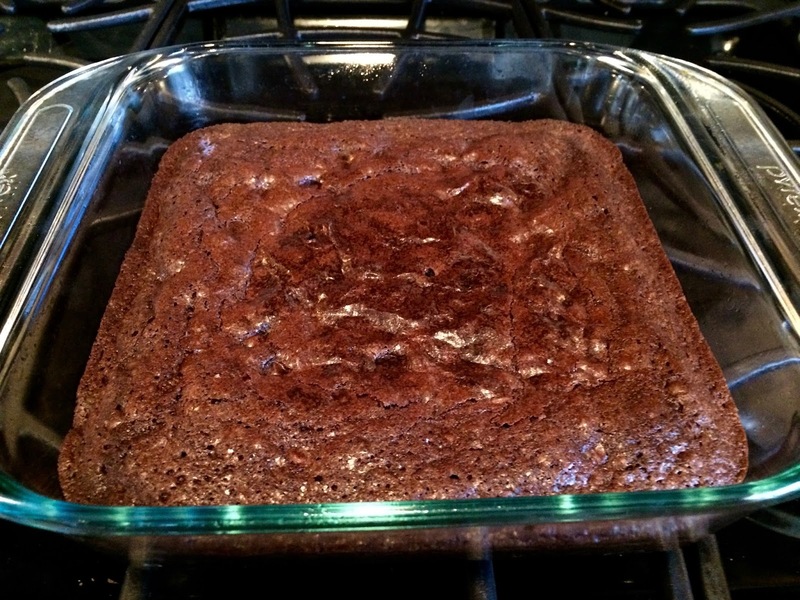 Mmm, there isn't much better than warm brownies fresh from the oven. Sadly, this time, you need to let them cool completely before cutting into one inch squares. 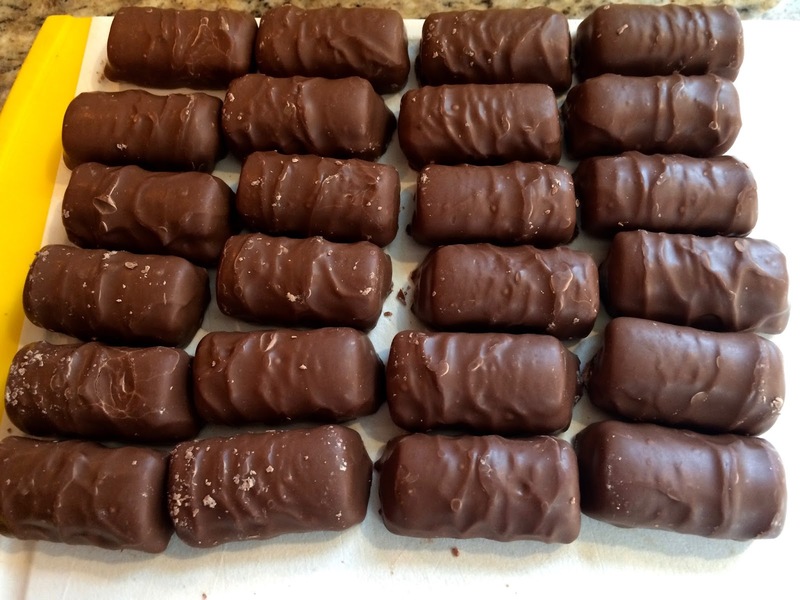 Next, prep your Twix bars. I bought a bag of the minis since they were a good price. 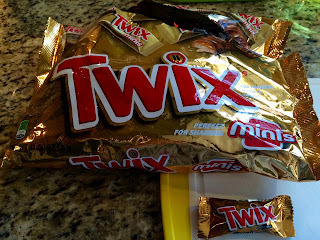 I'd recommend two regular Twix bars per serving. I put mine in the food processor, but I think that made the pieces too small. Next time I'll just chop them with a sharp knife. 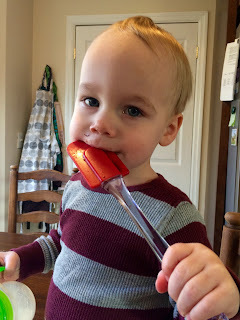 Finally, you need to make the pudding. 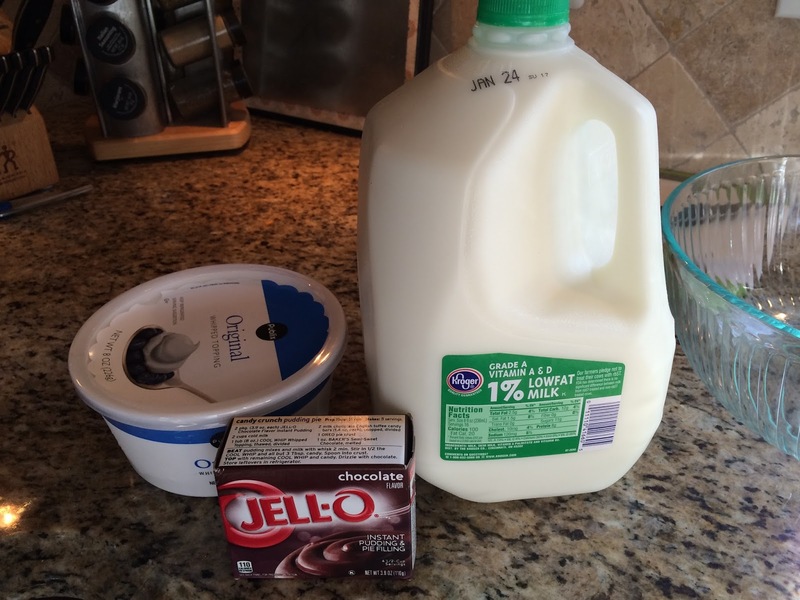 One of the small boxes of chocolate pudding is plenty, plus half a tub of cool whip. Beat the milk and pudding, then add the cool whip. You can put in the fridge until ready to assemble the trifle. Finally, just layer all the pieces: brownie, Twix, pudding, repeat. I did three layers in these mason jars, and it proved to be plenty! Next time I might use half pint jars instead. Either way, it was delicious! Mix and bake brownies according to directions. Allow to cool completely and cut into 1 inch squares. Roughly chop Twix bars and set aside. Beat pudding mix and milk about 2 minutes. Add in whipped topping and mix to combine. In pint mason jars or trifle dish, layer brownies, Twix, and pudding. Repeat twice for three layers. Can top with remaining chopped Twix. Oh my gosh! This sounds so good. I love Twix too. Stopping by from Worthwhile Wednesday. Have a great night! It was so yummy! Thanks for visiting!